Worldwide, fewer workers are engaged in predictable, stable employment, be it by choice or by necessity. As employment moves away from the single-employer, full time model, more people are using digital platforms to receive and access their income, especially when it comes from multiple sources. A simple question, like how exactly someone will get paid for their work, might not have a simple answer in a fluid employment environment. The question is even tougher for new immigrants, unbanked individuals, temporary employees and contract workers. A paper check is the default payment option, but the associated time and costs are significant. Digital alternatives are being embraced worldwide, and the Uulala platform is designed to provide accessible, secure means of receiving payment, sending money and building credit. A “regular job” used to mean working 40 hours per week, Monday to Friday, for the same employer for decades. These jobs have become unusual, and both the workforce and the supporting technology are adapting to more variable employment conditions. According to the ILO report on the 102nd International Labour Conference, half of the global workforce is engaged in waged employment that is not full-time for a single employer. Officially called “non-standard” employment, this type of work is becoming the norm. Job unpredictability and insecurity have helped lead to the rise of the gig economy and the sharing economy, as people piece together their income from more than one source. Online contract work, international sales, seasonal, and temporary work is growing, and workers and businesses alike require the support of functional, integrated technology for rapid domestic and international payments. Workers today are often both employees and, almost accidentally, proprietors of their own side businesses. This reinvention of earning is creating new opportunities in the digital payments industry as workers with multiple revenue streams require different tools to manage their income. In 2014, Latino immigrants were nearly twice as likely to be self-employed as U.S.-born Latinos, 11% versus 6%, and more likely to be self-employed than the population overall. Immigrants are also more likely to be unbanked or underbanked, making it difficult to financially establish their businesses. The suite of digital services offered by Uulala can provide financial support and inclusion for entrepreneurs in the U.S. and in Latin America, giving them more access to credit, payroll, and invoice payment options. A serious concern for new immigrants is how to access financial services after they move to a new country. They need to receive pay, pay rent and bills, and many also need to send remittances home to family or friends, but establishing a formal banking relationship takes time. 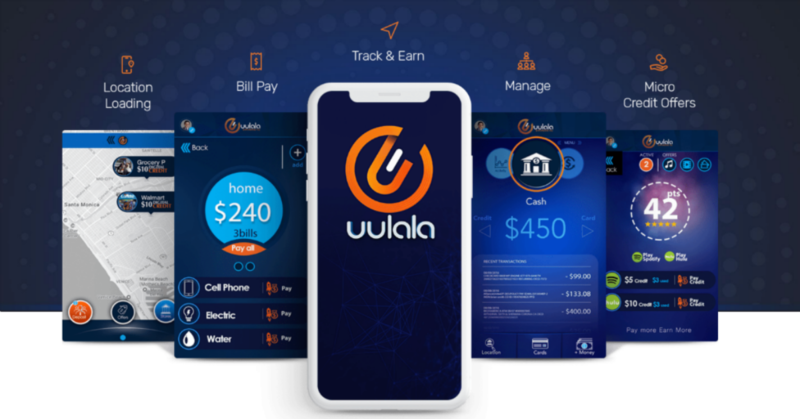 Uulala offers an accessible, versatile platform that can cater to a host of financial needs, and because payments go directly into a digital wallet, or to a credit card or bank account, users can access their income immediately. More individuals worldwide have bank accounts than ever before, rising from 41% in 2011 to 54% in 2014, and continuing to increase. A bank account is an important first step towards financial inclusion, however having an account doesn’t mean using it. According to the World Bank, some 355 million account holders still send or receive remittances in cash, over a billion pay utility bills in cash, and half a billion pay school fees in cash. Banking through formal institutions can be slow and inefficient for transferring funds domestically and across borders, cashing checks, or paying a mobile workforce. Digital payments are gaining popularity as more versatile platforms emerge, offering more financial services, faster transfers, and secure encryption technology. In 2015, non-cash transactions completed worldwide were $433 billion and are expected to rise to $726 billion in 2020. Transactions in developing regions like Southeast Asia, Latin America and Africa are expected to grow even more rapidly than the global average. According to Worldpay, global eCommerce is expected to grow 11% (CAGR) between 2016 and 2021, with the Latin American market expected grow even faster, at 19%. Global revenue from digital payments was $450 billion in 2015 and is expected to top $1 trillion by 2019. Consumers are adopting mobile wallets and increasingly paying for both online and in-person purchases digitally. The proportion of global remittances sent digitally is expected to reach 36%(by value) of an expected remittance total of $600 billion for 2018, and to rise to 44% by 2021. The pattern is clear: Digital payment technology is here to stay. It has the potential to increase financial inclusion for unbanked populations and to support the needs of a rapidly evolving workforce, and it is already revolutionizing the global payments ecosystem.